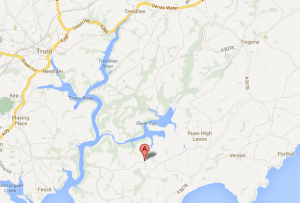 Roseland Rugby Club is based in Philleigh on the Roseland peninsula in Cornwall. Spectators and future players are always welcome, so please do pop along, see a game, and join us for a few beers in the pub afterwards. 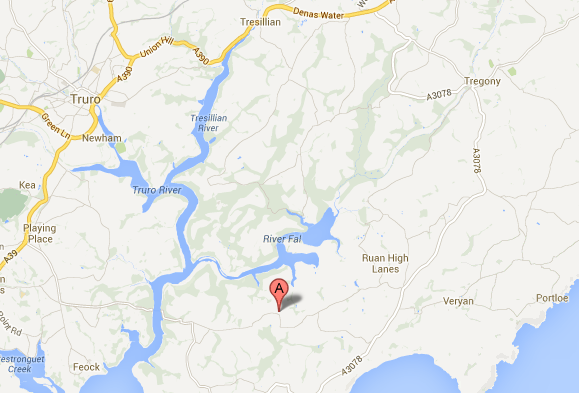 The pitch is just outside the village on the St Mawes / Ferry side. The clubhouse is the Roseland Inn in the heart of the village. 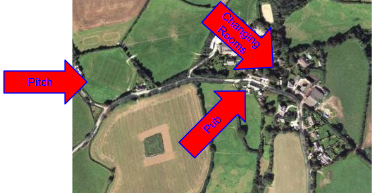 The changing rooms are behind the village hall, just up the hill from pub. Parking is wherever you can find a space on the roadside – but please remember that large farm vehicles need to get through. Details on the Fixtures Page! Just come along to training. Every Tuesday night 7pm on the pitch - or just before at the changing rooms. If you'd rather come along for a chat first, we're usually in the pub soon after 8.30. We have a cup game this weekend home against St Agnes. This is our last home game of the season so we look forward to seeing your support there. Five Try win for Roseland….